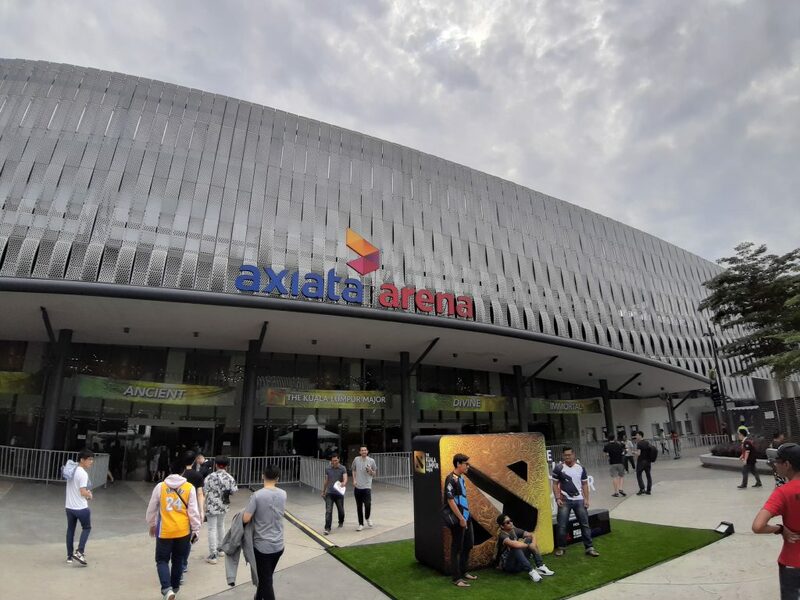 Malaysia’s largest Dota 2 tournament is currently ongoing at Axiata Arena with six teams left fighting for the total prize pool of USD1 million. The first day was filled with excitement and activities as Evil Geniuses and TobiWan had a meet and greet session and even YB Syed Saddiq dropped by. Malaysia’s biggest Dota 2 tournament, The Kuala Lumpur Major, is currently ongoing until this Sunday, 18th of November. With over 16 teams joining the main event, we now have six more teams left battling it out for the total prize pool of US$1 million. The winner will be bringing back US$350,000 and 4,950 DPC Points. A look at Axiata Arena. 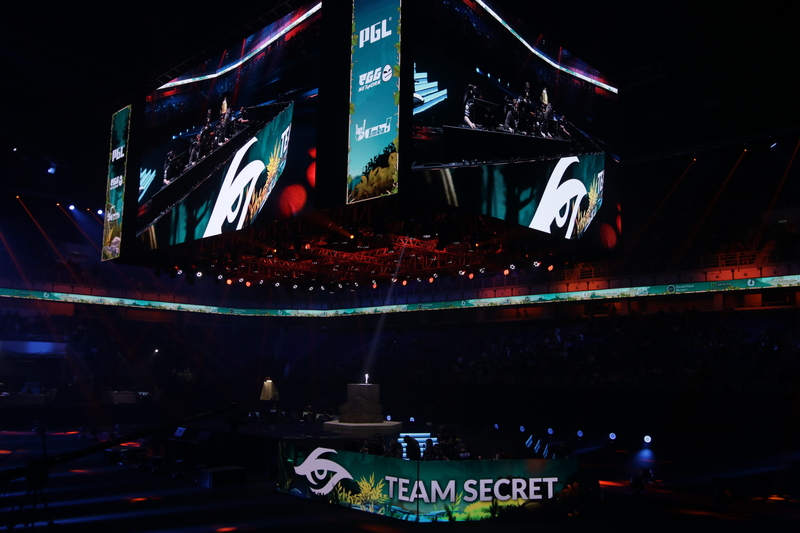 The first match was one of the best matches of the day as it was Team Secret versus PSG.LGD. Two remaining Malaysian representatives had to battle it out for a spot in the top four; it was MidOne against xNova with the losing team having to play in the lower brackets. Team Secret after winning the match. It was pretty surreal to see the players that we usually see on TV or computer screens so near to us, probably just a hundred feet away. Although it was on a weekday, the stadium was filled with event-goers and it is expected to see an increase over the weekend. A section of the crowd at the KL Major. The first game started with PSG.LGD controlling the early game but losing eventually as Team Secret had better team plays. xNova and his teammates couldn’t manage to pull a comeback in the second game and eventually lost 2-0, which caused them to be relegated to the lower bracket where they will fight Evil Geniuses tomorrow afternoon. 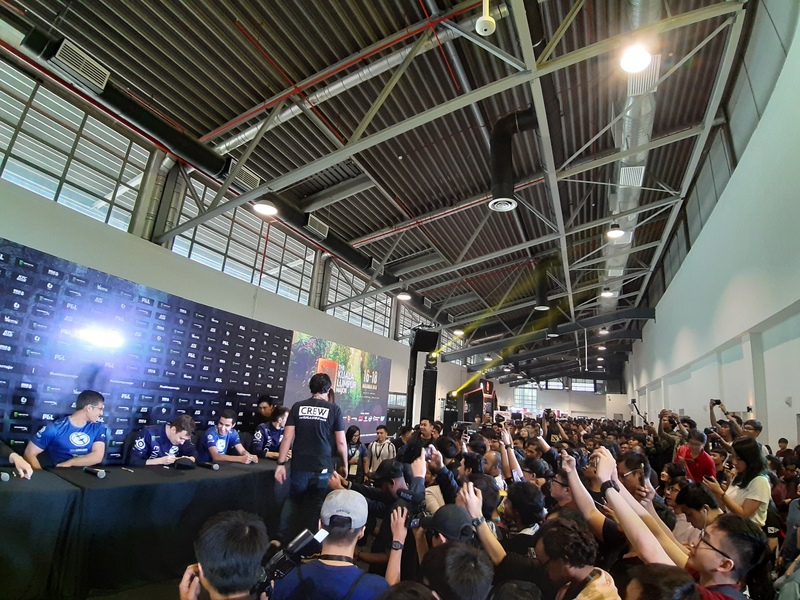 Other than the matches that were ongoing, there were also activities for fans to meet and greet their favourite players such as Arteezy from Evil Geniuses. A personal highlight was being able to meet one of the prominent casters for Dota 2, TobiWan. 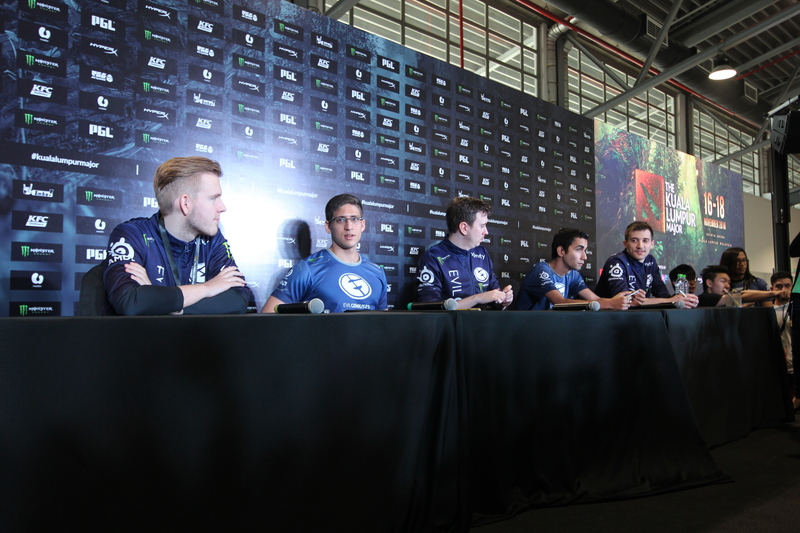 The crowd going crazy over Evil Geniuses. After that we managed to score an interview with one of the main people behind bringing the Major to Kuala Lumpur, Astro’s Chief of Sports—Lee Choong Khay. He shared with us how eGG Network started and their journey so far, and how they ended up being part of a tournament of this scale. “Three years ago, there was actually demand from the fans of The International 5 (The International is the biggest Dota 2 tournament that happens annually), there was an online petition asking Astro why don’t we broadcast The International. 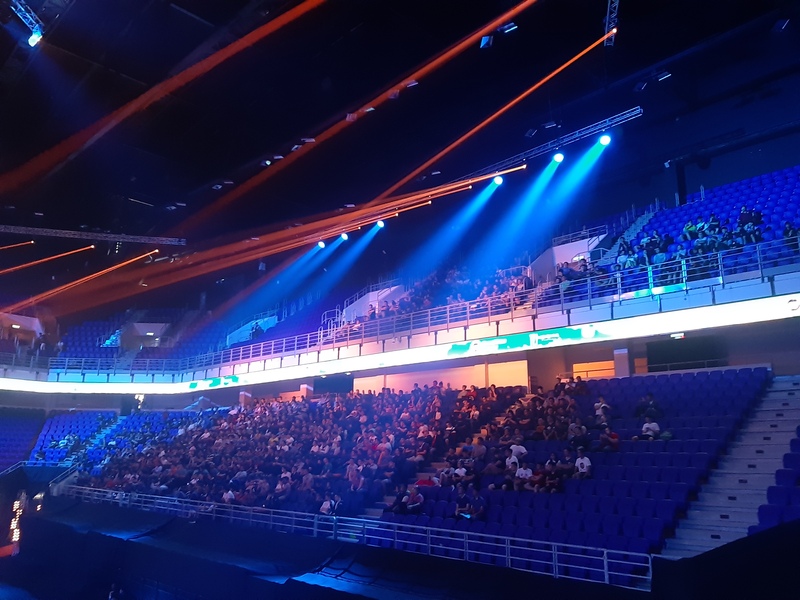 So we got in touch with Valve to broadcast our first e-sports event on our Astro SuperSport channel and the feedback we got was phenomenal,” Choong Khay said as he explained about how it all started. From then on out as support grew, they decided to create a separate channel called eGG Network which focuses on e-sports. eGG Network partnered with many companies such as PGL who have been organising many Dota 2 tournaments in the past and these partnerships are one of the main reasons that the Kuala Lumpur Major exists. YB Syed Saddiq with Astro’s Chief of Sports, Lee Choong Khay. Next up, more surprises were in store as our Youth and Sports Minister, YB Syed Saddiq dropped by for a press conference to talk about how far Malaysia has come with e-sports and how big of a success it is to hold a Major tournament in Kuala Lumpur. On top of that, he added that for those naysayers who say e-sports cannot bring any benefits, he stated that Malaysia at the moment is ranked 21st in the world when it comes to gaming revenue. “Things that end up leading to the greatest of benefits will come with strong resistance at the beginning. 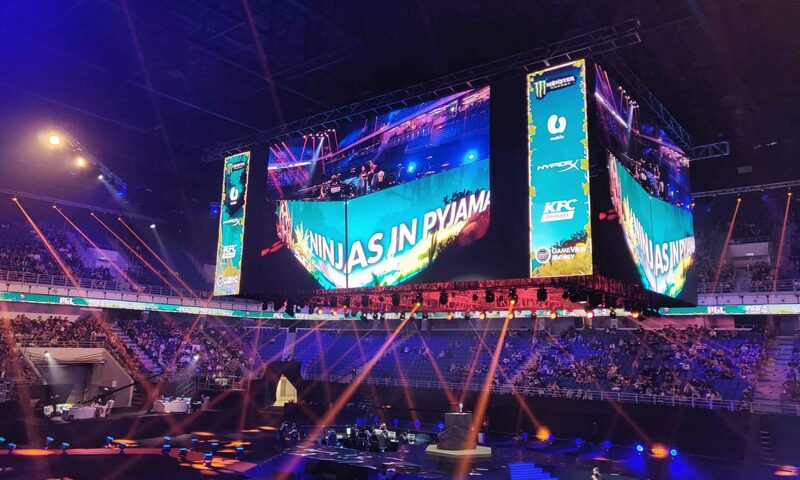 E-sports brings money into Malaysia, it has a thriving multiracial community, and on top of that, the drive to love IT and advancement in technology and to look towards the future is also humongous,” he said. After that it was back to the matches, the day ended well with a great lower bracket match of Ninjas in Pyjamas versus TNC Predator. It was either a do or die match and NiP proved that they still had the fire in them by kicking TNC Predator out of the tournament without much of a sweat. There will be plenty of match ups on Saturday and by the end of it we will know who will be in the finals. Overall the event was well-organised from an observer’s point of view as every match started on time and the final game ended before 9PM, giving everyone enough time to head back home and recharge for the next day. If we had to complain, we would say that the food and beverage options were limited, but that’s a small quibble for what was a very good first day experience overall. This does bode well for the future of e-sports in Malaysia and we are looking forward with great eagerness to see how much more it can grow. Tickets for Kuala Lumpur Major are still up for sale, and you can follow PGL (the organisers) for highlights. You can also follow us on our Instagram page for more updates of what’s going on at the KL Major.